You have 4 great stock picks and congratulations on your August dividend income! You are right. I'm very happy with these quality companies. Congrats on 80% increase! Good luck in your future investing! Thanks for your visit and your compliments! 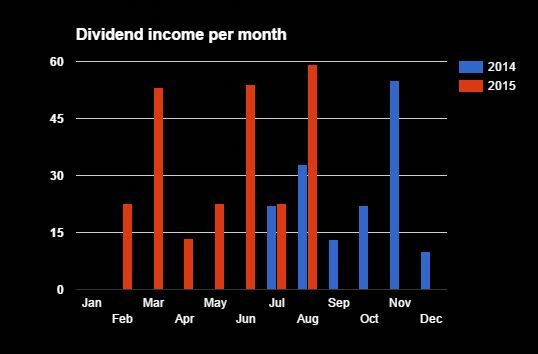 Congrats on your best month ever for dividends and year over year growth. Liking your OHI holding as it's a consideration of mine eventually. For now I'm sticking with VTR, HCP and HCN. Thanks for sharing! 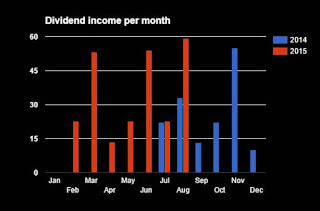 I'm loving the OHI dividend payout! However, you already have 3 REITs. They are more risky than other investments for a reason, but the return sure looks tempting! Talking about growth.. wait 'till you see September! OHI and T... Gotta love those high yields. Keep up the great work!